Oscar Nominee! 3. Best Actor (Joaquin Phoenix); Supporting Actor (Philip Seymour Hoffman); Supporting Actress (Amy Adams). 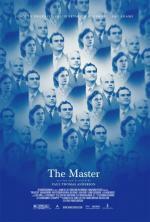 “The Master is one of the great movies of the year — an ambitious, challenging project that picks seriously at knotty ideas about American personality, success, rootlessness, master-disciple dynamics, and father-son mutually assured destruction.